What Price a Free Country? Sir, I know the uncertainty of human affairs, but I see, I see clearly, through this day’s business. You and I, indeed, may rue it. We may not live to see the time when this Declaration shall be made good. We may die; die colonists; die slaves; die, it may be, ignominiously and on the scaffold. Be it so. If it be the pleasure of Heaven that my country shall require the poor offering of my life, the victim shall be ready at the appointed hour of sacrifice, come when that hour may. But while I do live, let me have a country, or at least the hope of a country, and that a free country. 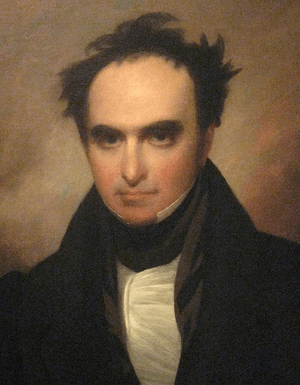 An excerpt from an oration of Daniel Webster titled “Independence Forever”, where he imagines the response that John Adams would have made to states that would object to the Declaration of Independance.